Aspyn Ovard is a lifestyle box for young women with items selected by YouTube extraordinaire Aspyn Ovard. If you don’t know who Aspyn Ovard is just type her name into YouTube and be amazed at the amount of videos she has posted to her channel! 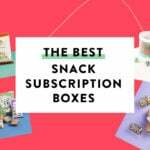 Aspyn offers two box options: My Subscription Box for $15 every other month and VIA (Very Important Aspynista) box for $49 every other month. This review is for the VIA box. The Products: Each box is based around a theme (this box was a DIY Party theme) and can include fashion, accessories, beauty, home and lifestyle items. 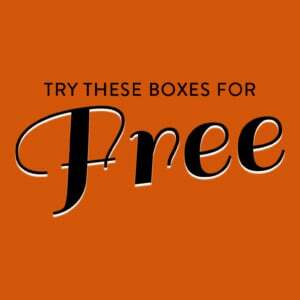 Check out all of our Aspyn Ovard reviews and the Women’s Lifestyle Box Directory! Each box comes with a card detailing the box’s contents and a little blurb from Aspyn about why she picked the item or a suggestion on how/when to use it. This is the first box where Aspyn didn’t include retail prices. Aspyn’s theme with this box is Back to School which is perfect for September. I love this Citrus Zinger bottle! It’s BPA free, cheery pink and yellow, comes with a straw and an attached loop to easily clip it to your bag. I’m a person that really doesn’t like water and struggles to drink enough each day. Adding citrus makes it taste so much better to me and I think with this bottle I might finally become a regular water drinker at work. The shape of this flip balm reminds me of the EOS lip balms that come in spherical packaging. I like how this lid flips open and closed so you can’t lose it. The smell is deliciously fruity and reminds me of watermelon Jolly Ranchers. It’s made with cocoa butter and Vitamin E – super moisturizing! This is a great facial scrub that smells minty and wasn’t drying at all. I will be buying the full size when I use up this little tube. I loved using it in the shower in the morning; the smell really helps wake me up. The tinted primer is mink brown and can be worn alone for a more natural look or paired under your regular mascara for extra length and thickness. This is my first time using a mascara primer. I liked the formula, but I didn’t care for the brush. Using this mascara over the primer gave a full and long lash. I was happy that it didn’t smudge also. This mask was moisturizing and I liked that it was sulfate, paraben and mineral oil free. It had a nice peppermint smell that wasn’t overwhelming. After a crummy night’s sleep and a busy day ahead of me I was thrilled to have these eye gels on hand. I placed them under my eyes for ten minutes before I hopped in the shower and noticed less puffiness once they were removed. These get rave reviews and I can see why. What an adorable pocket notebook. I think this a sweet addition for a Back to School themed box and I like that it’s not lined so it can be used for to-do lists, a diary or even a sketch book. I’m not a pin wearer, but as pins go this one is pretty darn cute. I love the sunset design being captured in the camera lens. I know pins are having a big moment right now so I can see people being happy with this inclusion. I’ve used hello extra whitening toothpaste before thanks to other sub boxes and I like it. I appreciate that it’s free of artificial sweeteners, dyes, peroxide and preservatives. This hand sanitizer is fragrance free, alcohol free, sulfate free and doesn’t leave any sort of sticky residue behind. It absorbs instantly and you can’t even tell you just put something on your hands. I’ve never been one to use or believe the hype of hand sanitizers but a lot of my teacher friends love having it on their desks so I will pass this along to one of them. I found these gluten-free chocolate cookies to be pretty dry and they had a weird aftertaste that I found unpleasant. Definitely not a cookie I would purchase or recommend. Verdict: I have such mixed feelings about Aspyn Ovard’s VIA Box. I feel this box has come a long way from her first box this past spring. It feels much more cohesive and professionally done from the “Back to School” printed box to the professionally printed and colorful information card. This month’s box didn’t include much in the way of jewelry or accessories (other than the pin), but considering the cheap dollar store feel of the purse, belt and jewelry in the last box I don’t think that’s a bad thing! From the beginning I’ve felt that Aspyn Ovard has offered a good mix of beauty products from well-known brands. Some items aren’t new to the subscription box world (Benefit mascara I’m looking at you) but that doesn’t really bother me. I’m happy to get repeat products from well-loved brands and I like being introduced to some new ones like the Skyn Iceland eye gels. What I was bummed about this month was that the value is considerably lower at $65.82 (last box was over $160). In just three boxes I think Aspyn has come a long way in improving her curation and fine-tuning her branding, but I’d like to see the value come back up. Even though this box is the lowest in value thus far, I do like it the best. I hope they can keep upping their game! What do you think of the Aspyn Ovard box? How do subscribers rate Aspyn Ovard? Do you subscribe to Aspyn Ovard? Add your rating now! I got this box and I will actually use everthing in this one. The other boxes from this subscription I only used a couple of things. I am also very disappointed in the cookies they were not good at all. 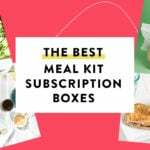 I will be cancelling this subscripton box soon and maybe try out a different box. I thought her first box was cute. I almost jump on the 15 dollar box months ago but cancelling seem like a night mare. And also it seem like you get charged a over a month before you get a box. They charge in between the every other month. And shipping is from Canada which would be 10 dollars for a 15 dollar box. The 6 dollar shipping is only if your from Canada. She is from the US I thought and her boxes are sent from another country really (even if it’s still North American). This box seemed really young for my age sadly. I could be her mom which is also scary to me. I had high hopes but not jumping on this train anytime soon. I would have been so mad if I had been subscribed to this box. There is so little value in it. Even if you had LOVED every single item and needed it enough to go out and buy it, you would’ve only saved $10. I think the dramatic decrease in value is shocking and unacceptable. I don’t care for those cookies either. (I got them in Love with Food.) Glad to know I’m not the only one. Not the only one ?